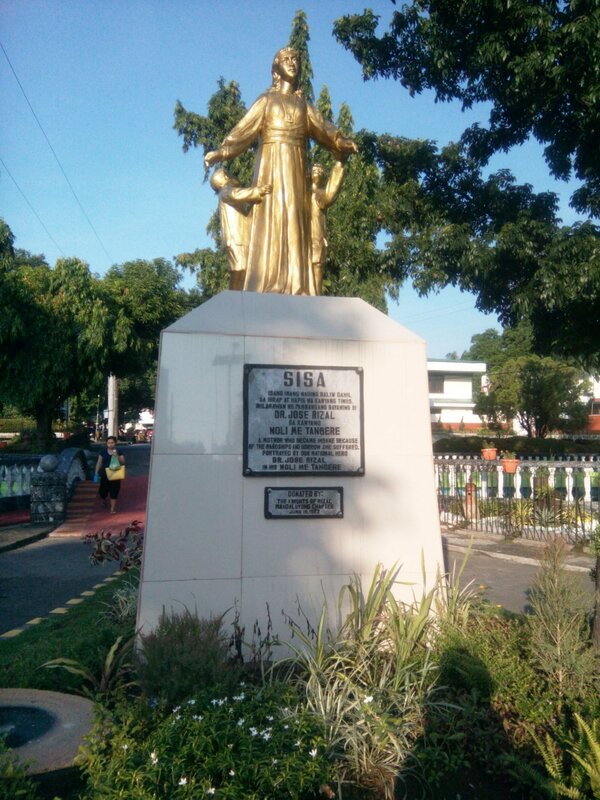 Famed Sisa of Jose Rizal’s novels. My sister and I are not quite sure if this is mockery or what. 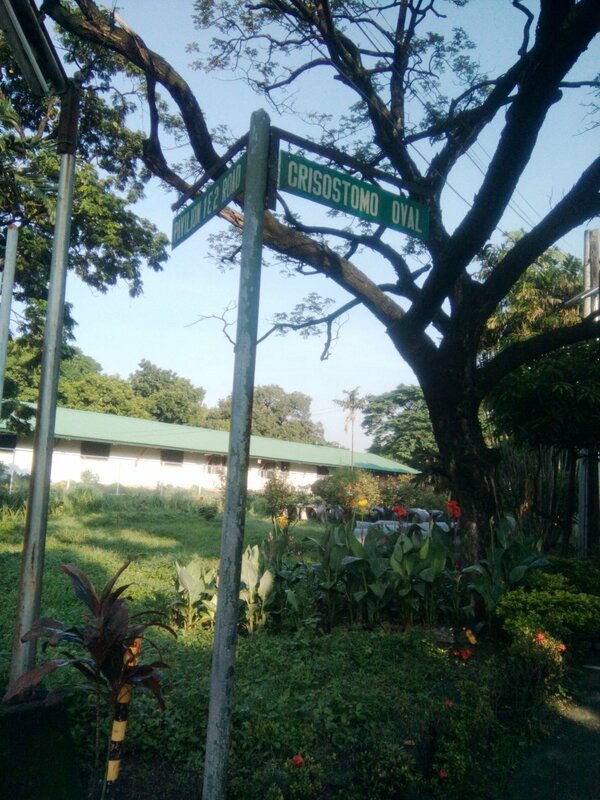 This is situated at the entrance along Crisostomo Oval. “Where do you work?”, I’ll be often asked. This will be followed by,”Sa loob o sa labas?”. We know the drill. This has been a joke for decades. The National Center for Mental Health (Mental) is located in Mandaluyong. It’s a few hundred meters away from my office and this being a public institution, it has generously opened its oval and pavilions for jogging, biking, basketball, tennis, and other recreational activities. I visited “Mental” again this morning after what it felt like forever. I’m gearing for some urban hike in Hongkong next month so I better be fit. Since two weeks ago when my social life surprisingly rose from the depths, every waking hour is a struggle. I’m subconsciously making a countdown until that urban hike so finally this morning, I had the strength to wake up early. Crisostomo (Ibarra) still of Rizal’s masterpieces. I usually just jog around this oval four times. There are bigger and more challenging ovals they say but that might not be safe for me as I jog alone most of the time. Mental is being renovated. The front gate and facade of buildings had repainting works done. I hope the interiors and facilities for the patients have been improved, too. As far as I can see (buildings/wards are covered by very high walls), there were some works done aesthetically. And oh, the guard looks for an ID now. I wasn’t just asked to fill up the log sheet. The guard asked for ID. Good thing, I have one stuck in my cellphone cover.There are reports of robbery inside Mental’s premises. One office mate even had a first-hand experience. It’s a good thing that they made security a bit more stringent. Mental patients here do not have much to be envied. You’ll have a glimpse of their situation inside through barred windows when you pass by. Just see for yourself. And yes, somehow, the wards smell. But then, as Basil Valdez’ song says, “Sino ang tunay na baliw?”. Mas marami pa ring baliw sa labas ng pasilidad na to. It’s a pity we’re not yet diagnosed. Hindi tuloy tayo magamot. You’ll be amazed on how the patients here greet joggers they people-watch. I already heard “DJ Nicoleyala” do her dj stint. After her DJ jobs, she’s also be the one who sings the songs requested. Another patient sounds like a soldier commanding drills in the morning. It’s consoling to hear them laugh with each other and at other people’s expense. I think that’s just what’s important- that they are happy. Same with all mental “patients” outside, we should just try to be happy regardless of anything. Sinong dakila? Sino ang tunay na baliw? Sinong mapalad? Sinong tumatawag ng habag? Yaong bang sinilang, na ang pag-iisip di lubos?